Blood pressure lowering, cardiovascular inhibitory and bronchodilatory actions of Achillea millefolium. The study below supports the use of yarrow in asthma and hypertension. 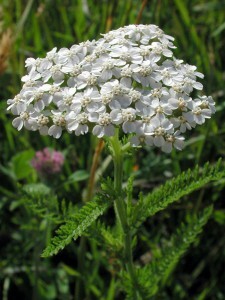 Achillea millefolium Linn. 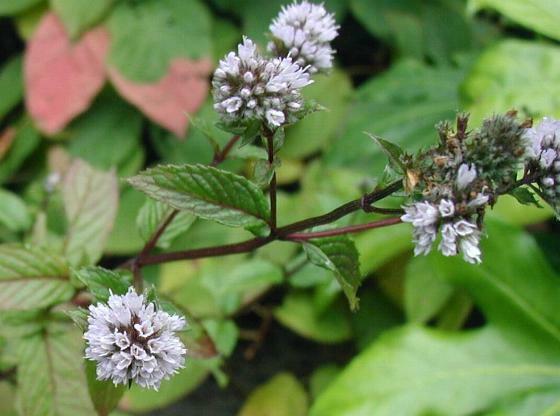 (Asteraceae) is used in folk medicine for the treatment of overactive cardiovascular and respiratory ailments. This study describes its hypotensive, cardio-depressant, vasodilatory and bronchodilatory activities. The crude extract of Achillea millefolium (Am.Cr) caused a dose-dependent (1-100 mg/kg) fall in arterial blood pressure of rats under anaesthesia. In spontaneously beating guinea-pig atrial tissues, Am.Cr exhibited negative inotropic and chronotropic effects. In isolated rabbit aortic rings, Am.Cr at 0.3-10 mg/mL relaxed phenylephrine (PE, 1 µm) and high K(+) (80 mm)-induced contractions, as well as suppressed the PE (1 µm) control peaks obtained in Ca(++) -free medium, like that caused by verapamil. The vasodilator effect of Am.Cr was partially blocked by N(ω) -nitro-l-arginine methyl ester in endothelium intact preparations. In guinea-pig tracheal strips, Am.Cr inhibited carbachol (CCh, 1 µm) and K(+) -induced contractions. 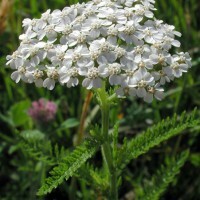 These results indicate that Achillea millefolium exhibits hypotensive, cardiovascular inhibitory and bronchodilatory effects, thus explaining its medicinal use in hyperactive cardiovascular and airway disorders, such as hypertension and asthma. 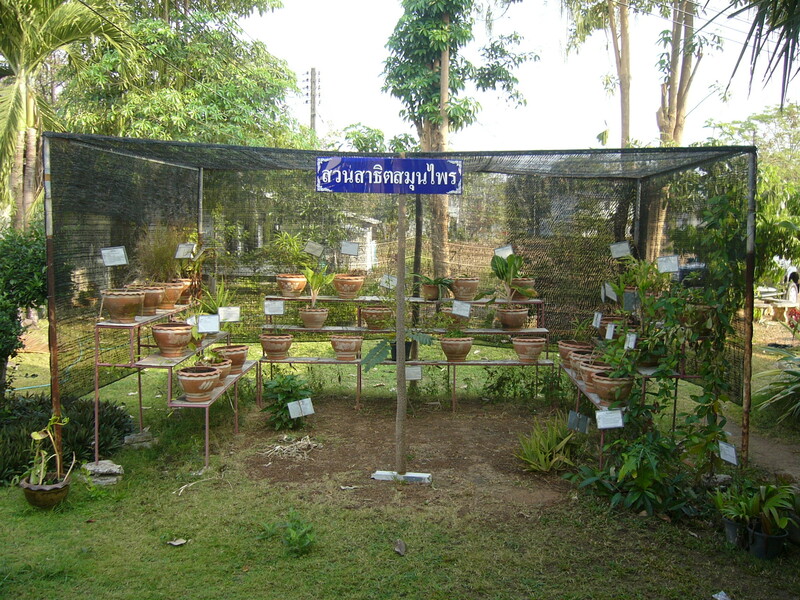 Phytother Res. 2011 Apr;25(4):577-83. doi: 10.1002/ptr.3303. Epub 2010 Sep 20.